Safe bicyclist and pedestrian travel is a priority throughout the Charlotte Metropolitan and surrounding areas, and is one component of an effective multi-modal transportation network. CRTPO’s 2045 Metropolitan Transportation Plan clearly identifies existing and planned resources and planning efforts aimed at expanding opportunities for safe bicycle and pedestrian travel throughout the MPO area. 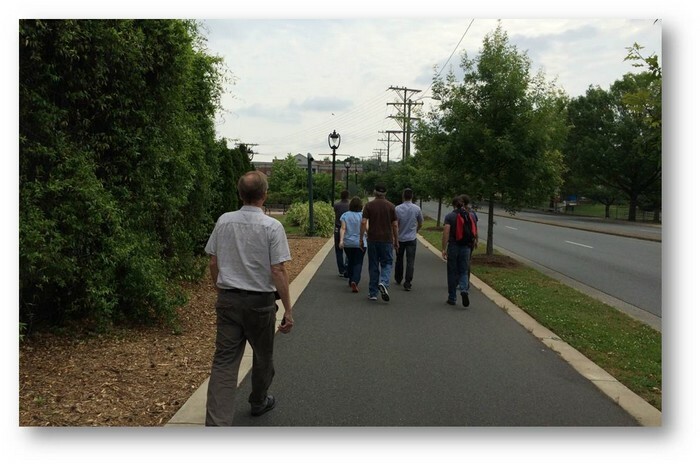 The Charlotte Regional Transportation Planning Organization (CRTPO) Bicycle & Pedestrian Work Group is tasked with an advisory role in the MPO planning process. The Work Group draws on the technical expertise of practitioners and advocates in the bicycle and pedestrian planning arena. This expertise is essential in recommending the efficient allocation of funding for studies, projects, and planning efforts. The Bicycle & Pedestrian Work Group makes recommendations directly to the MPO’s Technical Coordinating Committee, and advises the committee on specific matters when so directed. 5) Seek resources, as determined by the MPO, which provide for bicyclist and pedestrian transportation choices. The Bicycle & Pedestrian Work Group is comprised of TCC members, NCDOT Division representatives, and local staff from across the planning area.